The Parachute Game is an exciting new mini-game in Teach Your Monster to Read 2: Fun With Words. Your monster holds tight to a parachute as he floats down through the clouds. While floating down, he has to collect the right letters and sounds to make up the word before he reaches the ground safely. The monster is rewarded with stars which can be exchanged for clothing, equipment and food in the shop. This game helps the player practise blending and segmenting of individual words. 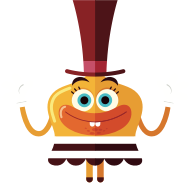 Click on this link for more information about Teach Your Monster to Read 2: Fun with Words. At the end of each level your monster meets a very friendly shopkeeper. 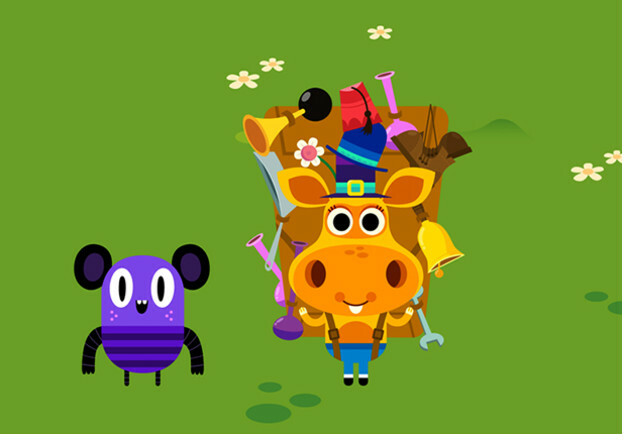 This shopkeeper offers the monster a chance to buy some goodies with the stars he has collected on his journey. This part of the game is one of the monster’s favourites! The shopkeeper sells all kinds of equipment, food and clothing, from bright yellow wings, to a bucket and spade, a new brown belt or a large top hat. The monster can only purchase items that he can afford so he must choose wisely or save his stars for the next journey. 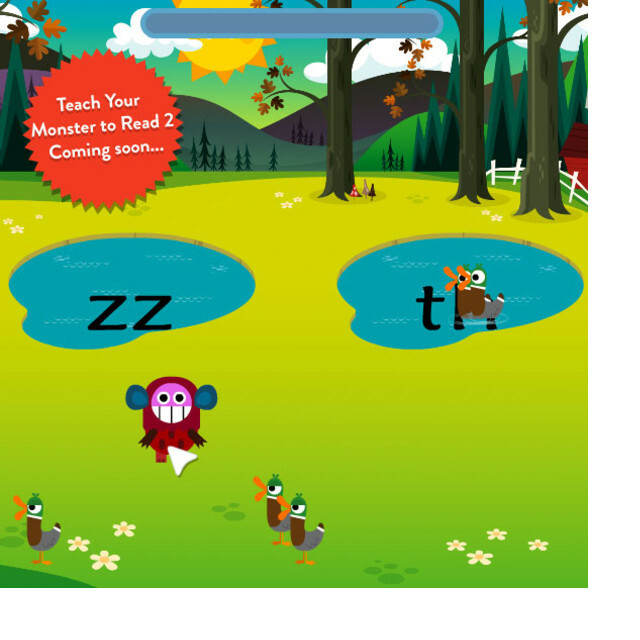 The Trickies are the speediest characters in the new Teach Your Monster to Read game. They appear in the villages and along the journey and pop up out of nowhere and they don’t stay still for long! 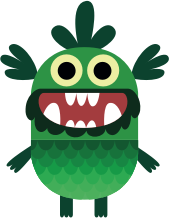 Your monster is excited if he finds a Tricky as one of the main aims of the game is to collect them all. The Trickies love it when your monster gets the words right and are really excited to be reunited with all their Tricky friends! Quack! Quack! The ducks need help. Down on the farm, the ducks have waddled out of the pond and are looking a bit lost. This new game is a twist on the early Sheep game from Teach Your Monster to Read: First Steps. The aim of this game is to listen to the sound (phoneme), then put all the ducks in the right pond. But beware, if you get the sound wrong then all the ducks leave the pond and you’ll have to round them up again! You can feed the animals! What is The Hungry Word Beast? The Hungry Word Beast is Teach Your Monster to Read 2: Fun With Word’s biggest character – she is ten times the size of the monster! She is orange with a very large yellow mouth. Her appetite is huge and she loves to eat words for breakfast, lunch and dinner – but only the correct words. She makes a lot of noise while eating and if a word isn’t right, she’ll spit it out in disgust! Bleeurrgghhh! The Hungry Word Beast appears at the end of every journey. She is big and loud, but not as scary as she seems. You can keep The Hungry Word Beast happy by feeding her all the right tricky words. Listen carefully or look at her body and you’ll find a clue to which word she wants to eat. Good luck! 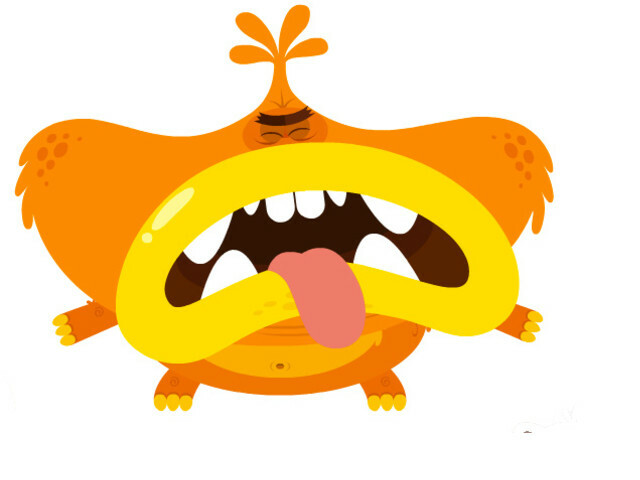 Click here for more information about Teach Your Monster to Read 2: Fun with Words. 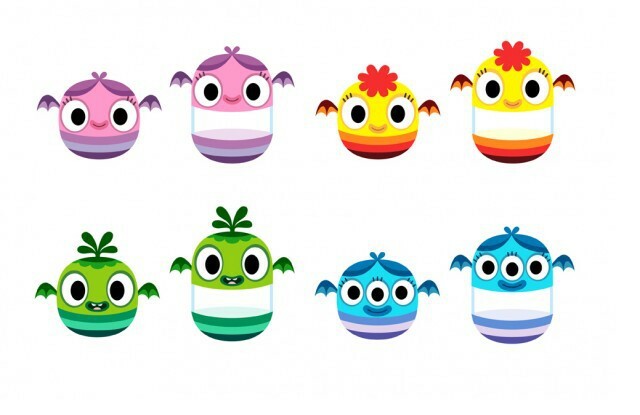 Join your monster in a Space Race! 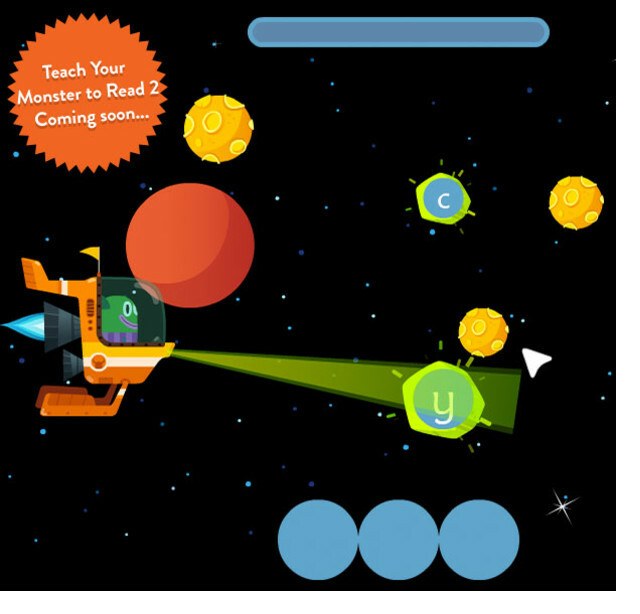 The Space Race is a new minigame in Teach Your Monster to Read 2: Fun With Words. The monster is flying a rocket through a colourful star-filled universe. He’s aiming to find fuel for his spaceship by making words. He can only do this by listening for the right sounds or looking for the right letters and collecting them, building the word as he goes. The Monster is rewarded with a stream of stars, which can be used in the shop to buy clothing, food and tools. 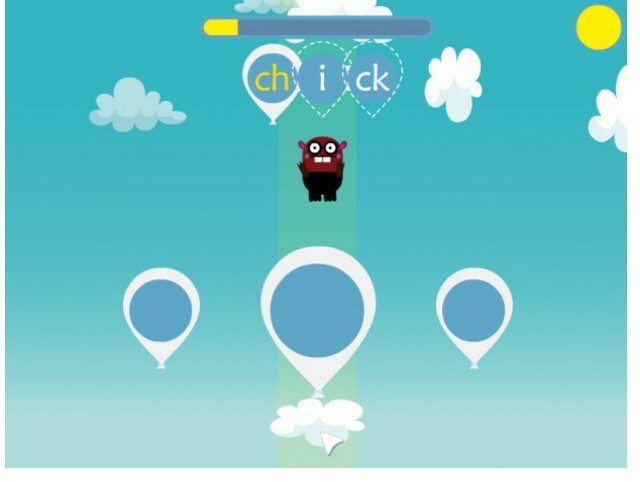 This game helps the player practice blending and segmenting of individual words. As the game progresses, each race gets harder, introducing more complicated words and new letters and sounds to practice.